It took me a while to really get into City of Bones. The book looked fantastic, but I couldn't push myself to begin it. Finally, I started reading it, and I could not put it down! The combination of action, adventure, and thrill was exciting and mentally kept me on my toes for every page turn. 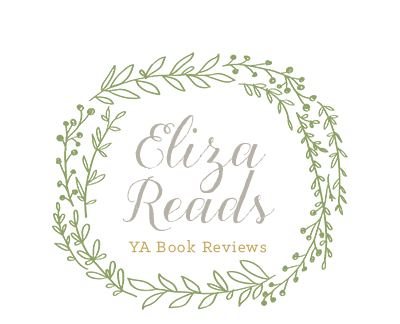 The demon world in Cassandra Clare's Mortal Instruments Series had me checking the shadows for Forsaken and repressing giggles. Clarissa Fray, known as Clary in the books, was just a normal teenager with an imagination that constantly had her distracted. She was normal until she came home one day to find her mother gone and a demon in her room. Clary is swept away into the world of the demons and the demon slayers, Shadowhunters. I enjoyed reading about Clary. She was a great protagonists who kept me entertained. It was also easy to relate to her. Not only because she is almost the same age as me, but because she is just a normal teenage girl who has friends and does homework. Although the story is crazy and takes you into a whole new world, Clary brings back some of the reality to the story. One of the main characters, Jace, is a Shadowhunter. He is dark, moody and very conceited. He acts like he is full of himself, but throughout the book, you can tell he is just a lost and lonely boy underneath his hard exterior. Even when he was being slightly rude or obnoxious, it was still hilarious. There were a few scenes where I could have laughed out loud at Jace and his retorts. Simon was also a large part of the story. He is Clary's best friend and although he is just a mundane, or regular human, he played a big part in the overall story. I liked Simon in the beginning. I thought he was quite funny and protective over Clary. Around the middle of the novel, he began to get on my nerves. He was clinging to Isabelle and he was jealous of Jace. If you haven't read this book, I would definitely recommend it! 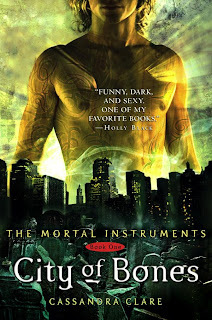 Look out for the Film Friday and my review of the second book, City of Ashes. Marvelous review :) I completely agree with what you said about Jace. While he acts conceited and rude, deep down he's hurting and lonely. He can actually be a really sweet guy.